So instead just rolling left and right on the bed I decided to get up and apply mask to my face. 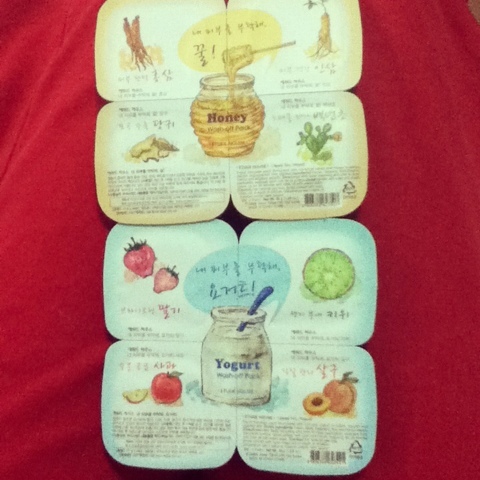 Bought this super worthy yogurt and honey face pack at Étude House last week. 2 series 4 cups each for RM15! Have already tried the Yogurt Kiwi ones, face feels supple and moisture throughout the day even though I put on make-up after that. Am doing the Honey Cactus one now. 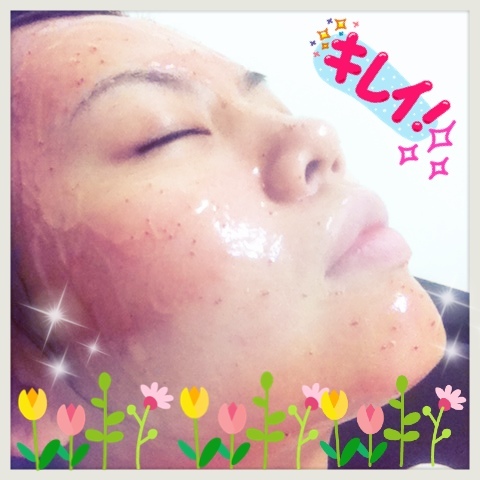 There's small red beads on it that dissolve through massage and heat on your skin. Ahh... Feels slightly happier when I work hard and try to make myself prettier. Lol.